So 8 provinces would be perfect (Normandy was under France in 1260). Keep the province of Walachia, historically it was quite an important territory, but keep the title “Bulgarian Empire”. I would cut off the province of Albania, the territory in the South becomes Epirus, the north becomes the province of Dirrachion. I would separate Constantinople from the province, making it a separate province, with an extra rule that Constantinople always has the maximum number of defenses. 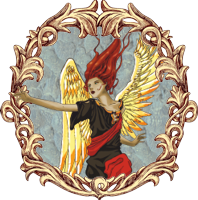 I would keep the Duchy of Athens because it was quite important, and put a city in it. *historical note: the English kings and the majority of the nobility were Norman at the time, spoke French and had possessions both sides of the Channel. The invaders of Ireland were Normans from England, who considered themselves English subjects. The territory around Dublin and the Pale were English. - Ulster and Munster are under the Irish and central Ireland under the English. - south of England divided into 2 territories so the total is 8. But I don’t have enough space for all the territories you put in the Byzantine Empire. Constantinople separated and as an independent city would be nice, but where do I put all the pawns? A city usually has double the numbers of pawns than a territory, especially an important city like this (and Rome, Alessandria, Jerusalem etc…), even now there isn’t enough space for the fleet in the sea area…it’s a mess. If there are some historically important Kingdoms in 1260 we must keep them and maybe consider having only 7 territories for the players. In the Hellenic region only the Duchy of Athens. Even not separating Constantinople from Tracie, and separating Albania from Epirus and Dirrachion there are already 8 provinces. 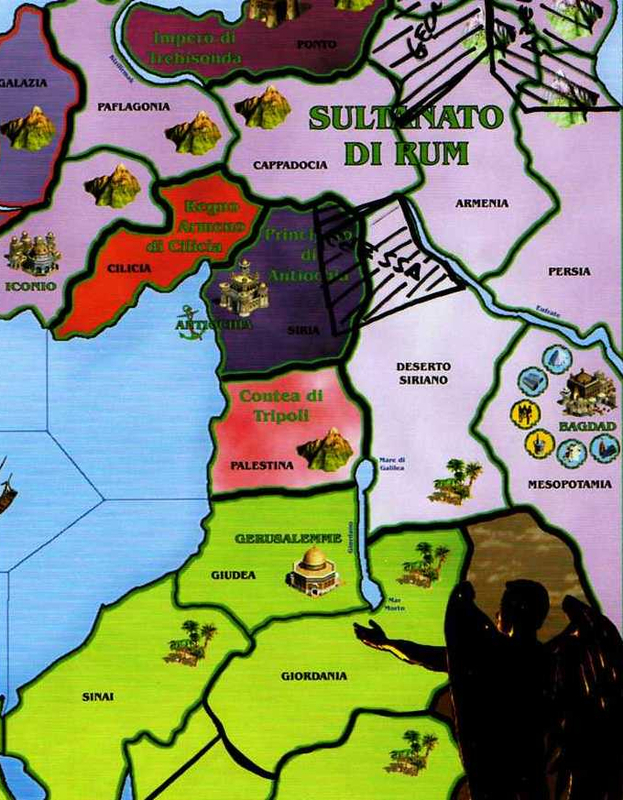 Put a magnification of the map with the territory of Constantinople, so you can put the pawns there (I remember seeing this solution in another game, I don’t remember which one though). When you talk about Epirus and Dirrachion…if I understand correctly I should separate Albania in 2 parts and create 2 territories (Dyrrachion under the Byzantines)? 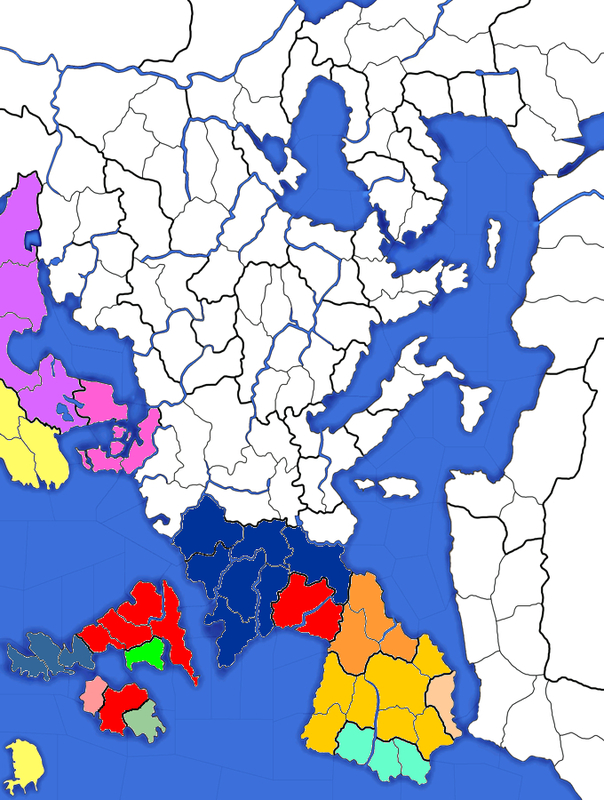 I think it will be impossible to put the Duchy of Athens in…or I will have to make the area bigger (like I did with England and Spain). Up there are the magnified areas…I could put some on my map, but I don’t really like the solution. Damascus is too close to Jerusalem, I can’t put it in. I was thinking of eliminating Baghdad and Khanate, but it’s a useful city for the game. Question: was Khanate advance in Asia having effects on trade? Were merchants still going to Baghdad after 1258 or had trade routes changed to avoid the Mongols? If you cut Thessaly half way across the Gulf of Corinth to get to the second gulf on the Aegean, there should be enough space. A pity you don’t like it, or it would be a perfect solution for Venice and Byzantium. Forget Damascus, and leave Jerusalem . Here is a link for Baghdad, http://it.wikipedia.org/wiki/Hulagu, which is actually in ruins, but I don’t know where the trade routes had been moved to, I will do some research . I read…so Baghdad is not usable after 1258. I also read of the Battle of Ayn Jalut in 1260, where the Mongols were defeated…so the border was on the Tigris for all of the Ilkhanide Dynasty. Let’s talk about the western border of Khanate, towards Turkey…where had the Mongols arrived in 1265? Can I still consider the Kingdom of the Selgiucidi Turks a valid (it officially ends in 1307) or is it declining rapidly and being sacked by the Mongol army? So…if after the Battle of Ayn Jalut the border is on the Tigris, so the territory I call SYRIAN DESERT is under the Mameluks, right? The Mongols should have conquered most of MESOPOTAMIA and all of PERSIA, ARMENIA and AZERBAIGIAN, or only MESOPOTAMIA and PERSIA? - can I leave AZERBAIGIAN under the Selgiucidi? I must find out what happened there after 1245. "The Seljuk realm was divided between Kaykhusraw's three sons. The eldest, Kaykaus II (1246–1260), assumed the rule in the area west of the river Kızılırmak. His younger brothers, Kilij Arslan IV (1248–1265) and Kayqubad II (1249–1257) were set to rule the regions east of the river under Mongol administration. In October 1256, Bayju defeated Kaykaus II near Aksaray and all of Anatolia became officially subject to Möngke Khan. In 1260 Kaykaus II fled from Konya to Crimea where he died in 1279. Kilij Arslan IV was executed in 1265 and Kaykhusraw III (1265–1284) became the nominal ruler of all of Anatolia, with the actual power exercised either by the Mongols or the sultan's influential regents." 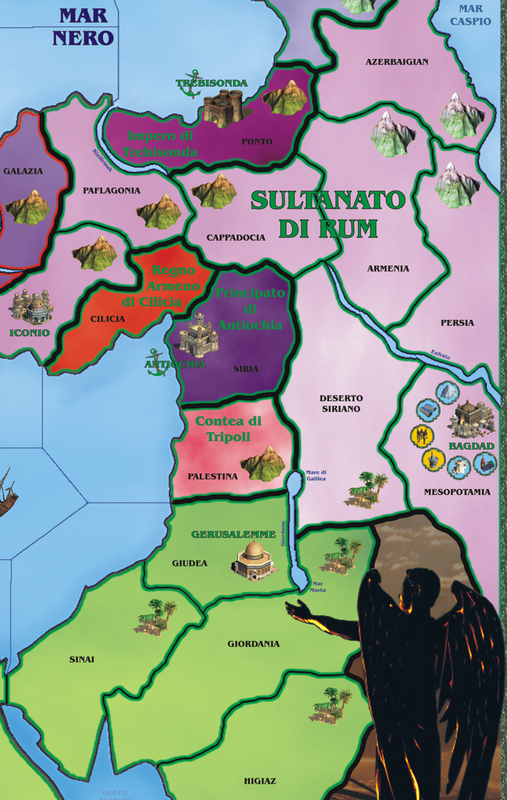 So I would leave; Paflagonia, Iconio and Cappadocia under the Sultanate of Iconio. Under the Khanate: Syrian Desert, Mesopotamia, Armenia, Persia, Cappadocia, Azerbaijan. If you cut Armenia and Azerbaijan differently you can create the province of Georgia (occupied). If you manage, we should narrow the county of Tripoli towards the west and the Principality of Antioch to create a neutral province (or under the Mameluks), creating a small “cushion” between Mongols and the Catholic nations (which didn’t have to fight the Mongols). I have an idea for a Mongolian province, cutting the southern part of Armenia and Cappadocia and the northern part of the Syrian Desert, so you can put the province of Edessa (total of 7 Mongolian provinces). Could we start off with a province less, but with more armies? …whereas I should consider Ikhnaton and the “Golden Horde” as a single Kingdom. What is now my Syrian Desert would become the small “cushion” you were talking about, and I would have 8 Mongol territories between Khanate and “Golden Horde” maybe making the eastern part of the map smaller if necessary. The only thing that’s stopping me is the fact that I would lose the misfortune BARBARIC INVASIONS, the Mongols would become a player…or I need to find a way of using this misfortune: other populations that invaded the area on my map (but I don’t think they historically existed), or as a bonus to the Mongol player (and if the player doesn’t exist I would use a barbaric horde!!). Khanate and the Golden Horde in 1260 were already 2 separate Kingdoms, so it wouldn’t be right to give them to the same player. I’m sending you a picture of how I would change the region more or less. Unfortunately my scanner doesn’t receive the whole image, but the north borders are the same as yours. I took the sea away from Jordan, because the possession of this region doesn’t directly influence the ports on the Red Sea. Giving the Mongols to the players doesn’t allow the event cards to simulate these invasions. The alternative would be to reduce the number of players, leaving these territories under a barbaric faction that is influenced by the empire card “barbaric invasions” (I would put Mongol or eastern invasions) and who has to attack westward. Ok, let’s start from the beginning and see what comes out…otherwise I will come to your house with 20 blank maps and won’t leave till you have finished!! I will post a map which I will colour bit by bit with the correct Kingdom, and you can tell me if it’s right, ok? Remember the size of the territories could change slightly to balance the space, for example in the Kingdom of Castile I have united the territories of Castile and La Mancha…now it’s a bit big, but I will probably “steal” part of the territory and use them for the neighboring territories (Murcia, Andalusia, Estremadura). Ok, let’s talk about the BENI GHANIYA EMIRATE which was ruling in Ifrīqiya (modern Tunisia, east Algeria and western Cyrenaica region) with the Hasid dynasty. So the BENI GHANIYA EMIRATE would include (on my map) TRIPOLITANIA, NUMIDIA (northern part), TUNISIA…I’ll add KABYLIA (eastern Algeria) right? If so, the Almohads have 7 territories, if not I can unite the 2 Atlas territories and achieve the same result. What shall I do with the Republic of Genoa? I think it was allied with the Byzantines, and was still quite important…I would create the territory of Liguria and the territory of Tuscany under Florence…but what about CORSICA and SARDINIA? I think Corsica should be under Genoa, whereas Sardinia passed from Genoa to Pisa…there is also Arborea, which remained independent and was recognized by the Pope…so I would put all of Sardinia under Arborea.